Uncertainty surrounding regulatory requirements is the main hindrance to carbon-intensive companies taking long-term action on managing emissions, my research finds. I interviewed 32 managers directly involved in carbon emissions management from 18 of Australia’s largest companies. The interviews were conducted over two periods, in 2013 (before repeal of the carbon tax) and in early 2016 after the repeal of the carbon tax. Even though almost all companies sampled for the research believe the carbon tax was an effective mechanism in driving climate change actions, political uncertainty surrounding climate change policies was seen as a significant restraint on strategy. 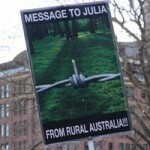 Julia Gillard’s government introduced a fixed carbon price in 2012. Australia has been particularly prone to uncertainty surrounding climate change policies. For example, in 2012, a fixed price carbon tax was implemented with plans to proceed subsequently to an emissions trading scheme by 2015. 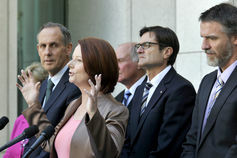 This was expected to put a price on Australia’s carbon pollution. 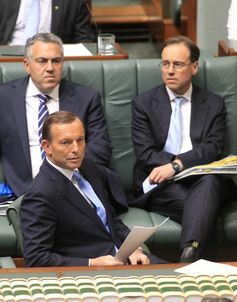 However, in July 2014, the Coalition government repealed the carbon tax and replaced it with the “Direct Action Plan”, which remains the centrepiece of Australia’s current greenhouse gas reduction efforts. Not only was there concern about long term emissions policies, managers were also concerned about uncertainty surrounding the Direct Action policy, which they saw as still evolving. Managers felt it was difficult to create long term business strategies around decarbonisation if they didn’t have appropriate regulations or pricing. 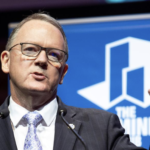 What managers specifically wanted from the Australian government was long-term policies to be able to plan for the future. The carbon tax was replaced in 2014 by Direct Action under the Abbott Coalition Government. What matters, one manager explained, is not the mechanism (for example, the carbon tax or direct action plan) but rather the detailed design of the scheme so that it covers whole sectors, gives attention to trade exposed industries and is administratively streamlined within the current energy and climate change policy framework. The Australian government has recently ratified the Paris Agreement. With enormous pressure from the international community, this ratification will put significant pressure on the Australian government to bring effective emissions management policies. These could drive urgent and significant emissions reduction management actions by Australian companies. The longer Australia stays without an effective emissions management policy, the more meeting international targets will be impractical. As I found from the interviews, the momentum for urgent action on emissions management is declining and certain companies are reluctant to proceed with long-term investment in emissions management because of uncertainty around climate change policies. It’s time for those in parliament to leave party politics behind and find enough common ground to design a climate change policy which is economically efficient and environmentally effective.